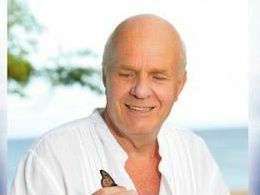 The bestselling author, Dr Wayne Dyer, turns to public television to share his remarkable steps for living an inspired life. America’s well-known spiritual guide and mentor promises that his knowledge can help you transform your life. Along with powerful wisdom teachings to unleash your own inspiration, you’ll meat four individuals, whose lives have personally inspired Dr Wayne Dyer. Join Wayne Dyer for an extraordinary presentation that promises to transform your life in “Inspiration – Your Ultimate Calling”. Don’t forget to read the summary below the video clip. Inspiration is when an idea gets a hold of you and takes you where you originally intended to go in the first place. When you are inspired, all of your thoughts break their bonds and your mind transcends limitations. Your consciousness expands in every direction. You find yourself in a new, great and wonderful world. Dormant forces and talents come alive. You discover yourself to be a greater person, by far than you ever dreamed yourself to be. Change Your Awareness of Yourself: Becoming inspired is really about changing your awareness of yourself. So, who are your? Wouldn’t you agree that we must be what we came from, and where is that? From where we come from it is: eternal, infinite, kind and it excludes no one. We are here as spiritual beings, just having human experience. We are peaces of God, and our essence is our greatness. So, in order to find your inspiration, you need to trust in your divinity. Change Your Awareness of Others: Where we come from it excludes no one. We are all connected and come from the same creative energy. If you have thoughts that include some and exclude others at anytime, you are not in spirit. It is therefore important to watch your thoughts and feel love for yourself and others, if you want to stay connected with your soul. Change your thoughts: Your “bonds” that are keeping you disconnected from your inspiration, are your thoughts; the way you think. If you have negative thoughts like: “It’s never going to happen, It never works out for me, I am always miserable etc.” you disconnect yourself from your soul, because this is not the way your soul, God, or the creative source energy that you came from, is thinking. You must think, feel, and act in harmony with your soul in order to stay connected. You need to feel your divinity. Believe with passion: By passionately believing in what doesn’t exist, you create it. That which is nonexistent has not been sufficiently desired. Remember that what you desire, which is aligned with Spirit, is on its way. See yourself as whom you truly are; unlimited: When you see yourself as unlimited, you see yourself as you were before you were born, and this is who you truly are. When you see yourself as unlimited, and your mind “transcends limitations”, you enter the field of all possibilities. Don’t question your inspiration and “doing”: When you move into Sprit, your consciousness expands in every direction. You will find yourself doing things that you don’t understand why you are doing them, but as you follow your inspiration the reason for your action will be clear later on. Great and unexplainable things will start showing up in your experience. You will start noticing that everything comes into place at the exact right moment. It is most likely that you will have thoughts that will suddenly manifest for you, just like synchronicities. You will also discover dormant talents that are suddenly coming to live. You will act as God, as someone for-giving.